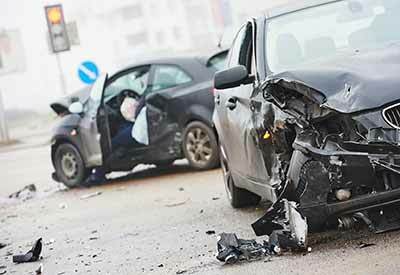 If you were injured in a car accident that occurred in New Hampshire, you may be able to bring a personal injury lawsuit against the negligent party or parties. It is important to discuss your case with an experienced and dedicated New Hampshire car accident attorney as soon as possible after the accident to ensure the protection of your legal rights. 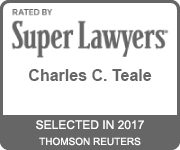 At Teale Law, we understand that all car accident cases are not the same; and that each case has unique facts and circumstances. That is why your case deserves personal attention from a dedicated New Hampshire auto accident attorney. 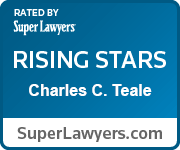 Attorney Teale and his legal team pledge to provide you with that personalized attention; and to fight on your behalf to ensure you recover the compensation you deserve. We have significant experience negotiating with insurance companies and litigating complex car accident cases so that our clients have the maximum chance of reaching a favorable settlement or judgment. Contact us today by completing the free consultation form, or by calling us at 603-935-7425 to schedule a complimentary case consultation and evaluation. Despite the technological advancements in vehicle safety, around 1.2 million people across the globe die every year due to car accidents. The World Health Organization predicts that the number of car accident deaths will increase by 65 percent by the year 2020. In the United States alone, more than 30,000 people die from car accident-related injuries on an annual basis. Nationally, car accidents consistently rank as one of the top ten leading causes of death among individuals aged 1-54 years old. Unfortunately, New Hampshire is not spared from these grim statistics. In 2013, 135 people in the Granite State passed away from motor vehicle accidents. The vast majority of these deaths occurred as a result of single-vehicle accidents; while others resulted from multiple-vehicle accidents. Since car accidents are so prevalent in today’s society, chances are that you or a loved one may have suffered injuries in a collision caused by someone else’s negligence. At Teale Law, we pride ourselves in working tirelessly on behalf of our clients injured in these types of accidents. Weather – Especially in New Hampshire, drivers must adjust to road and weather conditions such as heavy rain, ice, strong winds, fog, and snowstorms. Unfortunately, drivers do not heed common sense or weather advisories and drive much too fast in unfavorable conditions, often causing car accidents. Drunk Driving – The National Highway Traffic Safety Administration reports that in 2015, approximately 10,200 people in the U.S. died as a result of injuries incurred due alcohol-related motor vehicle accidents. Another 290,000 were injured in drunk driving accidents. Speeding – When drivers speed, they exponentially increase their chances of crashing into stationary objects or other vehicles. Simply stated, speeding causes loss of vehicle control as well as a diminished reaction time necessary to avoid a collision. Aggressive Driving – Aggressive drivers are often abusive and rude, and tend to flash inappropriate gestures and expressions to other drivers. This type of behavior includes flashing lights at others due to irritation; aggressive tailgating; deliberately preventing another car from moving or changing lanes; physical assault; callously ignoring traffic lights and signals; the frequent and unsafe changing of lanes; and failing to yield to the right of way. Unfortunately, aggressive driving is a leading cause of car accidents. Driver Fatigue – The U.S. National Traffic Safety Administration reports that driver fatigue accounts for an estimated 100,000 car accidents in the United States every year. Studies show that driver fatigue most often occurs between 11:00 p.m. and 8:00 a.m. and between 12:00 p.m. and 2:00 p.m. Distracted Drivers – Not surprisingly, distracted drivers cause between 25 to 50 percent of vehicle accidents in the United States. There are many distractions that today’s drivers face, including texting while driving; other inappropriate cell phone usage; eating; talking; singing; and trying to follow driving directions. 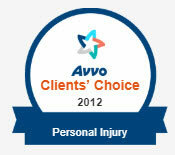 Whatever the cause, you may have a personal injury claim if you suffered injuries due to someone else’s negligence. If you or a loved one has been involved in a car accident, contact us today at 603-935-7425 to schedule a complimentary case consultation and evaluation.